Everyone loves hearing music. Goom allows you to admire your music! 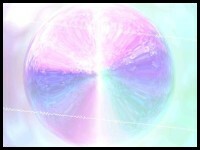 It's a cool visual effects generator for almost every multimedia player. 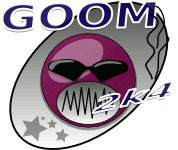 (Goom will dazzle you with its hypnotic ...) It includes a large number of trippy hypnotic effects that dance, swirl and pop with the music. Large number of effects: Tentacles, Flash, Stars, Fireworks, Waves, Blurs and Glows. Tiny disk footstep: 24 kilobytes only! Smallest possible CPU usage: Highly optimized code with CPU specific assembly for Intel (MMX), AMD (3DNow!) and PowerPC (Altivec). Believe it, we spent our nights on this! 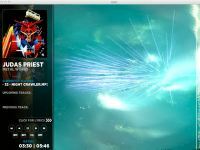 Multi-plateforms: It is available for Windows Media Player, iTunes, Winamp, XBox Media Center (to name a few) and already integrated in almost all Linux media players. A computer backed with earphones or a good stereo kit can now replace your old home stereo system, and replace it with benefits: it makes it so easier to manage your playlists. Well... unfortunately a computer used as a jukebox is somehow boring although it can do so much more! 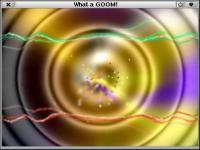 Goom was created with this is mind: make your computer jukebox awesome, full of eye candy and aesthetic effects while it plays music. Download, install, and feel the difference!